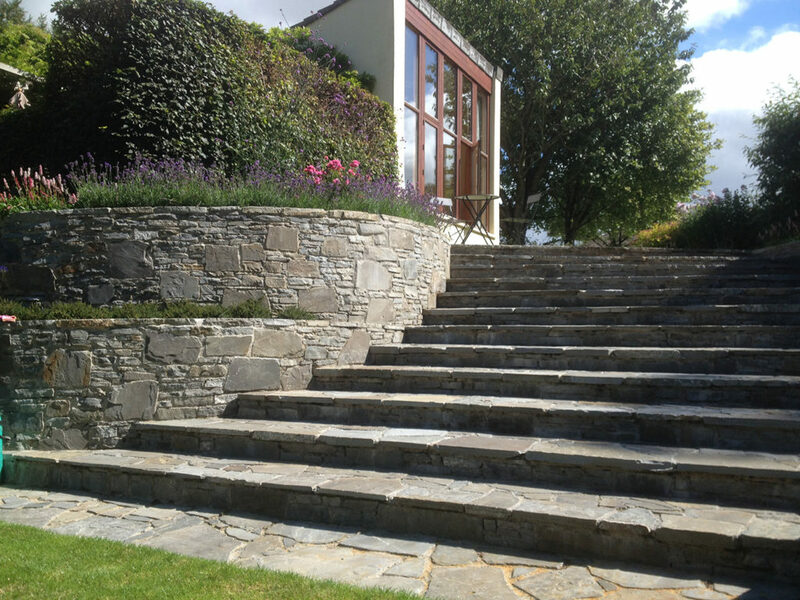 Features stone steps integrated to match retaining walls. 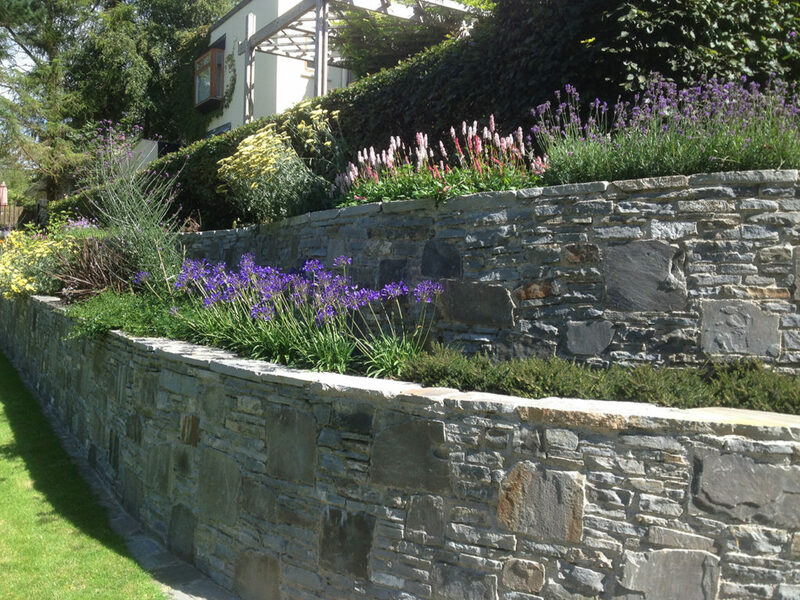 The client brief was to build a retaining wall which would link the upper level of their garden to the lower area which was approximately 1.8m high. 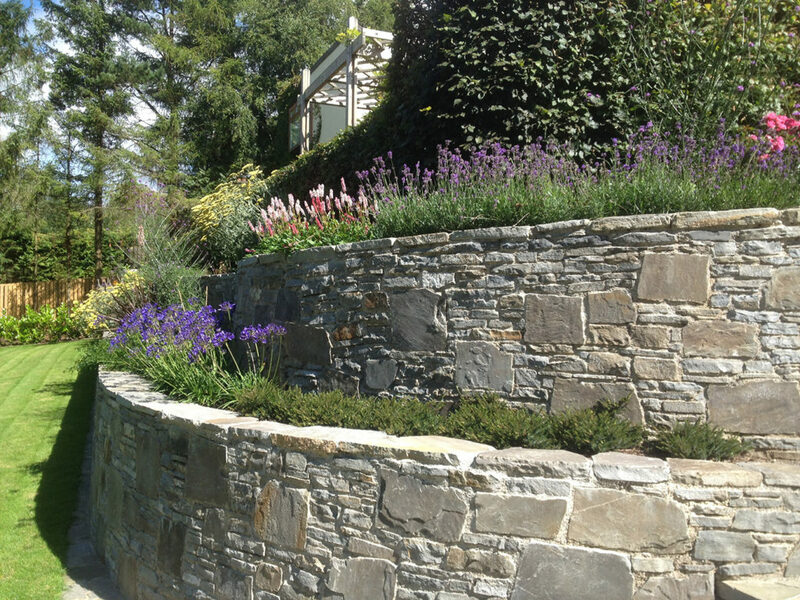 This would replace an existing sloped bank which was hard to maintain and not attractive. 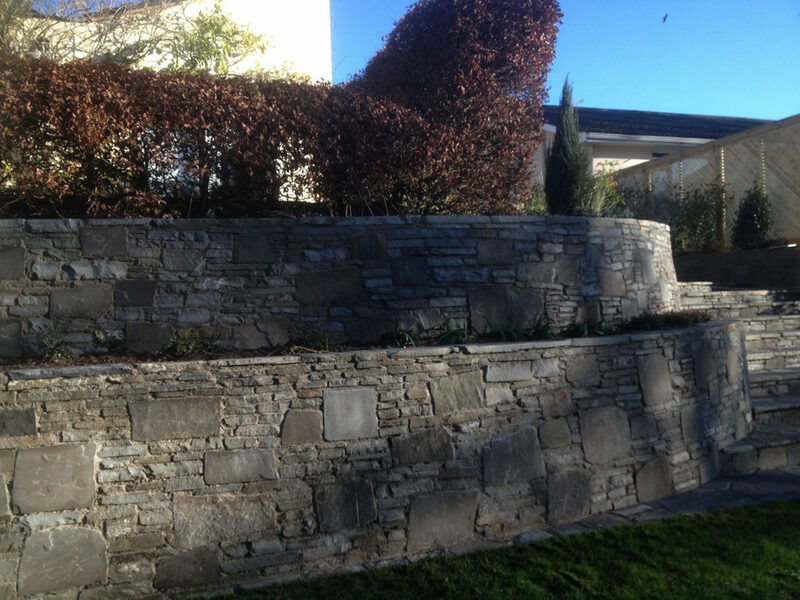 Additional planting was to be incorporated in the new design.Existing sleeper steps linking the 2 areas were also to be replaced with more permanent steps. To avoid the wall looking like a 2m high fort. The steps to the lower level which had to connect with, and complement the wall. 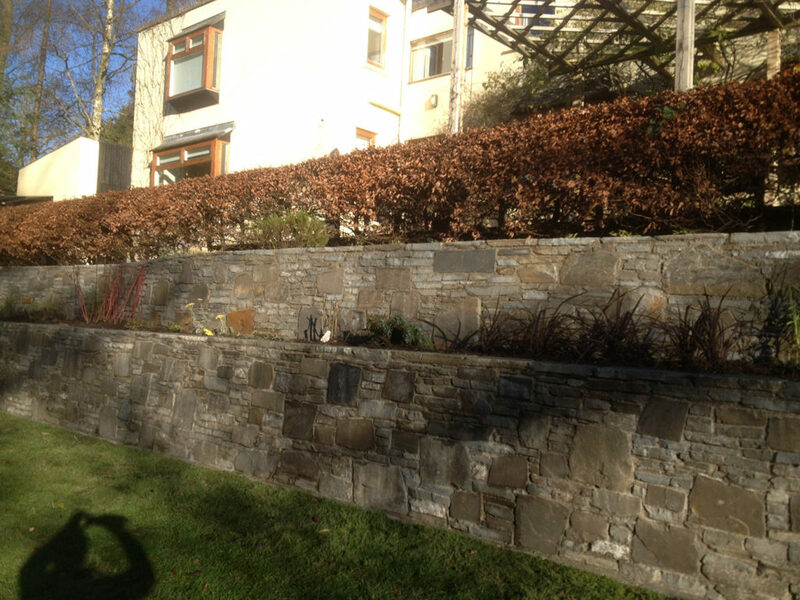 The existing mature beech hedge was to be retained and more space for planting incorporated, yet it should be low maintenance as access wouldn’t be straightforward.